As the Hispanic Association on Corporate Responsibility (HACR) celebrated its 30th anniversary, Hispanic Executive, an HACR platinum sponsor, celebrated its 2016 Best of the Boardroom, honoring guest editor Myrna Soto and cover star Aída Álvarez. The annual Hispanic Executive Best of the Boardroom issue was created to turn the spotlight on the select few Latinos that have cracked corporate boardrooms and are leading by example. In 2016, for the second consecutive year—by happy accident—women dominated the lineup. The Best of the Boardroom featured Aída Álvarez, Consuelo Madere, Patricia Pineda, Gilbert Casellas, Gloria Santona, and Myrna Soto—many of whom were present at the reception and symposium. Myrna Soto is the global CISO of Comcast and an international tech leader. Last year she was appointed to the board of directors of CMS Energy group, and in the spring of 2016, she was appointed to the board of Spirit Airlines. Aída Álvarez is a trailblazer in a variety of industries. 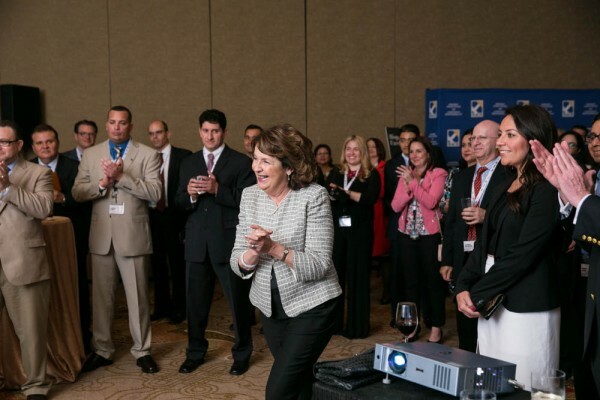 She currently sits on the public boards of Walmart and HP Inc. Hispanic Executive was thrilled to join all of the leaders at the reception in celebrating Álvarez’s many contributions to the Latino community. 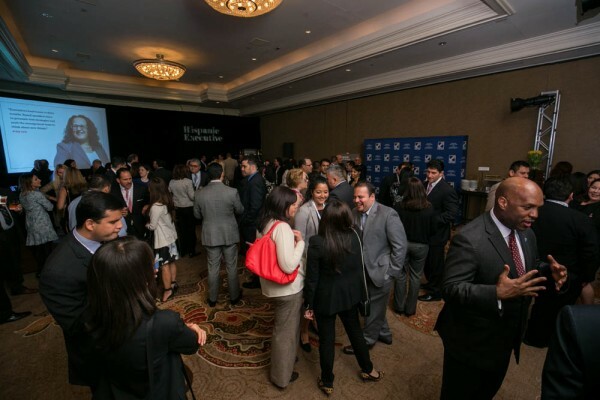 HACR’s 24th Annual Symposium, in celebration of the organization’s 30th anniversary, brought together the country’s top Hispanic corporate leaders. HE also took a moment post-event to speak with Cid Wilson, who is at the helm of HACR. Hispanic Executive: Please give us an overview of what HACR’s goals were for the 24th Annual Symposium. Cid Wilson: At HACR, we set high expectations when it comes to our Annual Symposium. Our goals were two-fold. First, we wanted to provide the attendees with a high-quality experience that included an educationally-rich agenda, a great line-up of speakers, an interactive forum, and networking environment that raises the bar in terms of the interaction between Corporate America and the Latino professional attendees. Secondly, our goal was to assure that the Annual Symposium is advancing our mission of Hispanic inclusion in Corporate America by going deep into the challenges and solutions that our community faces every day when it comes to Hispanic inclusion. The HACR Symposium is a best-practices conference gathering that addresses our four pillars: Employment, Procurement, Philanthropy, and Governance. We believe that we achieved our goals based on the record-setting turnout of attendees, the feedback from the participants, and the record number of Fortune 500 companies who sent representatives to the symposium. HE: What were some key takeaways from the weekend’s events that surprised you? CW: We were very pleased by the level of company-to-company interaction when it came to sharing best practices on hiring, retaining, mentoring, and promoting Latino talent in Corporate America. Companies with best practice models were very open and eager to share those proprietary practices with other companies who are in the developing stage of their Hispanic diversity and inclusion journey. We were also very pleased by the very high interest in our “Industry Spotlight” forum, a new addition to the symposium where we delve into one particular industry to discuss Hispanic diversity and inclusion challenges. This year, we focused on the sports industry, and brought together the major sports leagues to discuss the challenges and solutions to increasing Hispanic diversity, inclusion, and engagement on the corporate side of the industry. We plan to focus on other industries such as technology, finance, media, hospitality, energy, and others in future symposiums. One notable “surprise” for us this year was that our 10th class of the HACR Young Hispanic Corporate Achievers (YHCA) was rich in Latino corporate leaders from technology fields. This may be a reflection of the growing importance of STEM throughout Corporate America and not just the traditional technology companies. As well as, the increasing attention that Corporate America is paying to retaining and developing their Latino talent in the STEM fields. HE: How does this year’s symposium compare to years before—as HACR celebrated its 30th anniversary? 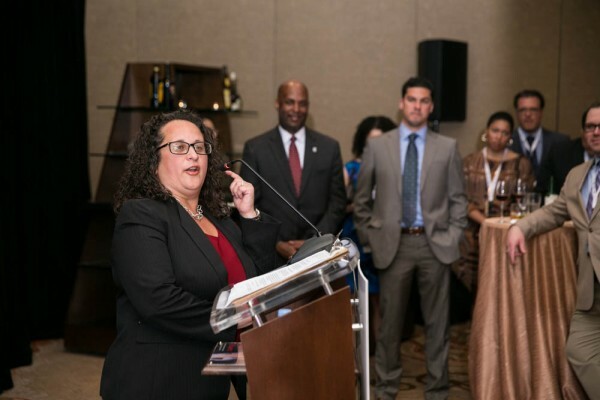 CW: This was a very special year for HACR as we celebrated 30 years as a national organization advancing Hispanic inclusion in Corporate America. We set a new attendance record with the largest-turnout gathering in our organization’s 30-year history. It was also a great opportunity to break new ground on such a monumental year. We hosted our Sunday dinner for our weekend executive participants at the United States Institute of Peace in Washington, D.C. This is the first time any Latino organization has ever hosted an event at this very prestigious location. We were also extremely pleased with the caliber of speakers we had this year. SBA Administrator Maria Contreras-Sweet, U.S. Secretary of Labor Tom Perez, former U.S. Secretary of Commerce Carlos Gutierrez, Noticiero Telemundo’s Maria Celeste, Gov. John Engler of the Business Roundtable, a strong executive delegation from the National Association of Corporate Directors (NACD), Lorna Donatone of Sodexo, and many more. Our 10th Annual CEO Roundtable was among the most memorable ever for HACR with four Fortune 500 CEO’s from The Home Depot, MassMutual, Northern Trust, and Target Corporation. The HACR 30th Anniversary Gala will be a talked about for many years to come as one of the most memorable galas in the organization’s history. It was a special gathering that recognized our 30 years of history, while sharing our vision of where we are going in the future. We highlighted our former HACR CEO’s, founding board members, and the many companies who embraced our mission of Hispanic inclusion. To the best of our knowledge, it was the first time that any national Latino organization organized a “white-tie” gala which was part of our 30th anniversary “pearl” theme. And the post-gala celebration was one for the ages with a performance by Latin Grammy award-winning artist, Magic Juan. We are thankful to Target Corporation for their title sponsorship of the HACR Symposium, Corporate Executives Forum, and the 30th Anniversary Gala and Post-Gala Celebration. HE: What do you think was a major triumph for the weekend and, on the flip side, what changes would you make to make next year’s symposium even more successful? CW: For us, the greatest triumph was the huge amount of positive feedback we got from the attendees. We are very committed to a mindset of constantly looking to improve over the prior year. After our successful gathering in Atlanta last year, we analyzed and evaluated all of the feedback, took the most common recommendations and executed on those recommendations this year. We are happy that the new implementations led to a high level of positive feedback from the attendees and our corporate members companies. While we are very happy with the results of the Symposium and executive programs, we know that an organization must always look for opportunities to break new ground and identify opportunities that can further support our mission. Next year, we are heading to Detroit, for the first time in the organization’s 30-year history. We are deeply excited about hosting our 2017 program in the Motor City given the high level importance of our industrial and engineering fields. While we expect a high level of attention from the auto industry, we plan to also highlight the growing importance of STEM, globalization, and executive pipeline development throughout Corporate America. HE: What should HACR members keep in mind, not just after the symposium, but throughout the year, to help HACR achieve its mission? It’s important for our HACR Corporate Members, conference participants, and stakeholders to keep in mind that, as we move our mission forward, it’s up to all of Corporate America to embrace, champion, and advance Hispanic inclusion. While HACR is pleased with the growing attention by companies when it comes to hiring, promoting, retaining, and procurement with Latinos, we still have a lot of work to do. There is a big difference between supporting Hispanic inclusion vs. CHAMPIONING Hispanic Inclusion. We are very happy with the growing number of Fortune 500 CEO’s who are championing the issue of diversity and inclusion by making it a mission-critical priority. There are other companies who are in their early stage of their diversity and inclusion journey and we stand ready to help those companies emerge into the future beacons of diversity excellence. By helping Fortune 500 executives and board directors see the economic advantages of Hispanic inclusion, by helping Latino employee resource groups (ERG’s) better align their activities to their company’s goals, by illuminating the importance of greater corporate philanthropy into the Latino markets where they serve, by highlighting the benefits of Latino supplier diversity, and by correlating the importance of board-level Hispanic inclusion to the business itself, we can succeed in advancing Hispanic inclusion. We believe ultimately, these things correlate to a stronger economy, a more globally-competitive country, and a more engaging Corporate America. 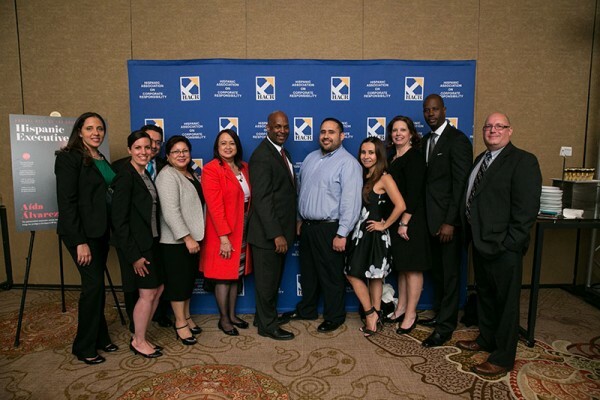 Together with our committed HACR board of directors, our dedicated staff, our mission-embracing corporate partners, and our champions-of-diversity stakeholders, we can achieve our mission of greater Hispanic inclusion in Corporate America.